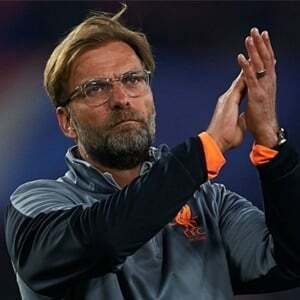 "That was our best game of the season and the performance was much better than the result"
Liverpool manager Jurgen Klopp has hailed his players after a 2-1 victory over Tottenham on Saturday. In the English Premier League game, Liverpool had gone two goals ahead inside the Wembley Stadium before Spurs pulled one back in added time. "That was very, very good. It was an intense job to do and the boys did it.” Klopp told Sky Sports. "We deserved to win that game today. Over 85 minutes we were really dominant. With and without the ball we caused them massive problems. The things they usually do usually work, but they didn't today. The boys stuck to our plan today and it was really good - everybody worked so hard in what was a good performance. "That was a tough game, man! Two good teams, two big teams, football as it should be. We won the game and if we win at Tottenham it's a big result. The players did the job and they worked unbelievable hard, and I'm really proud of them."